At Barkley Music Media we are well versed in many different avenues of webdesign. Utilizing award winning design in Dreamweaver, Content Management Systems, E-Commerce, PHP, HTML5, Animation and more, we can build your site to fit every need. 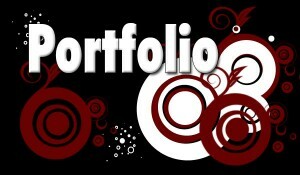 Please look at our Portfolio and see what Barkley Music Media can do for you. Our staff will work with you on design, graphics for your site and much more. We can show you how to update your site or we offer maintenance plans to fit your needs. We want you to be happy with our services and strive for perfection in our design efforts. Store Fronts – Have your products sold on a secure server. Sound Bytes – Have a sample of your music, videos, or a voice message on your site. No Hidden Costs – ALL pages built to your specifications with up front pricing. Maintaining Available – Update monthly, bi-monthly, or annually. Copyright © 2019 Barkley Music and Media. All Rights Reserved.